The session fee covers the planning of your session and creation of your images, along with professional on-location hair & make-up application, full retouching on all of your images, a private photo reveal and viewing appointment between 1-2 weeks after your session. 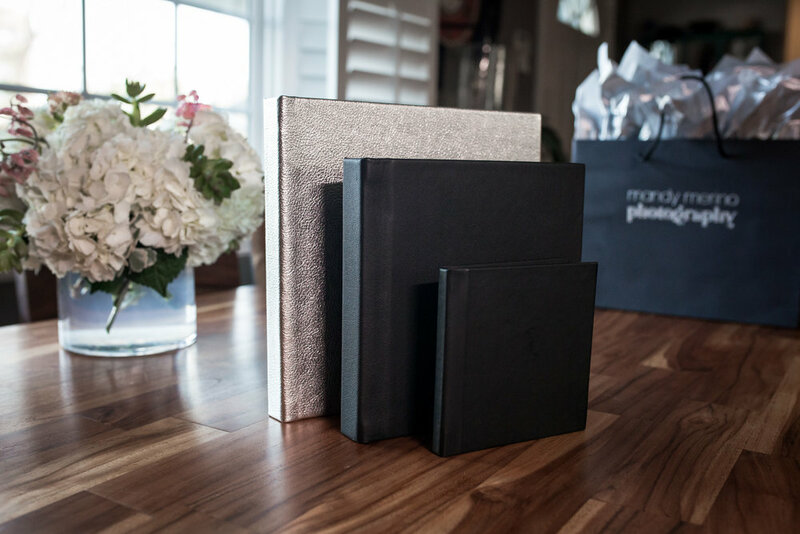 All products are purchased separately at your photo reveal; if you choose to purchase a collection, your session fee will be applied toward total as product credit. Purchase any collection and your session fee will be applied as product credit! 5x7 glass box trimmed in silver, filled with fine art prints. Your image printed directly onto a sheet of metal. Ready to hang with floating wall mount on back. Digital proofs of your images with printing and usage rights delivered via USB drive and private online gallery. Pricing subject to change. All images & content copyright Mandy Merino Photography. 2019.